BlackBerry Pearl 3G and Curve 3G coming to AT&T | BlackBerry Blast! I can't believe it has taken this long for these phones to make it to AT&T, but apparently it is still big news when a 3G BlackBerry hits. 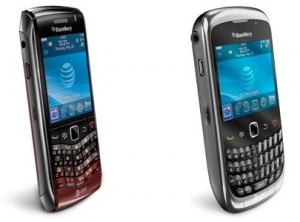 AT&T has announced the BlackBerry Pearl 3G and the BlackBerry Curve 3G as "coming soon" to their network. Shouldn't all phones be 3G by now? The BlackBerry Curve 3G will be available in AT&T stores, online and in business channels in time for the holidays. It will be available in stores and online for $99.99 (no rebate required). The BlackBerry Pearl 3G will be available for $149.99 (no rebate required) beginning October 17 in AT&T stores, online and in business channels.